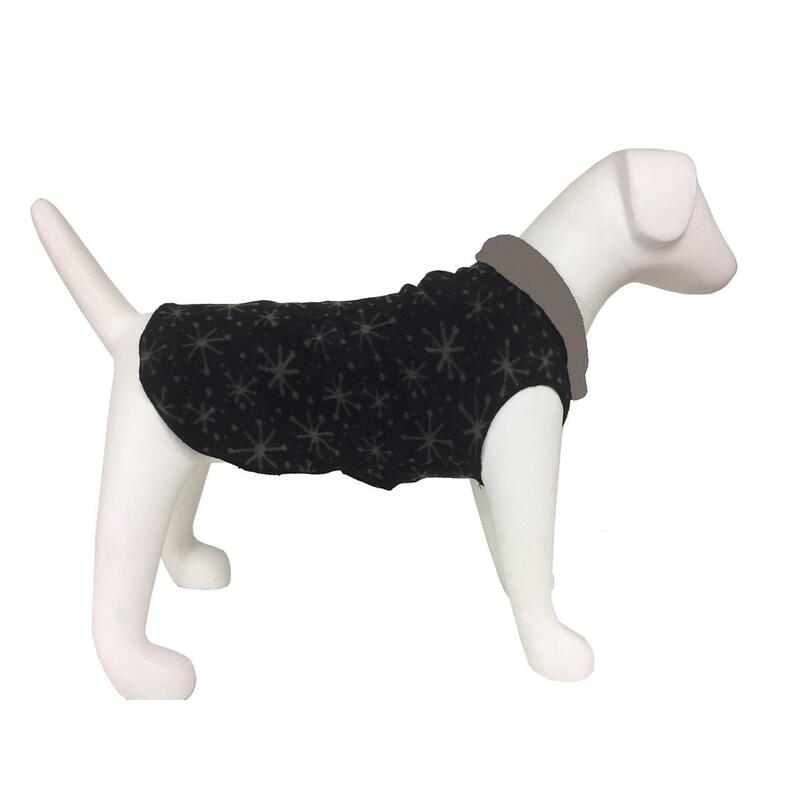 This Ultra Paws Doga Tog Double Fleece Dog Pullover in the Starry Black pattern is like yoga wear for your pup! Give your pup a comfortable pullover for their workouts or for just lounging around with the Ultra Paws Doga Tog Double Layer Fleece Dog Pullover in the Starry Black pattern. This double layer fleece dog pullover features ultra-soft fleece with four-way stretch for a great fit and feel. The collar features an adjustable neck and there is an opening for a leash attachment. Perfect for an extra layer of warmth indoors or out. Look for our Doga Tog Single Layer Fleece Pullover in Starry Black and Starry Tan, each sold separately. Bought for my hairless Chinese Crested. Super warm, high quality, nice pattern. Really glad I purchased the double fleece! I like that you have large sizes!